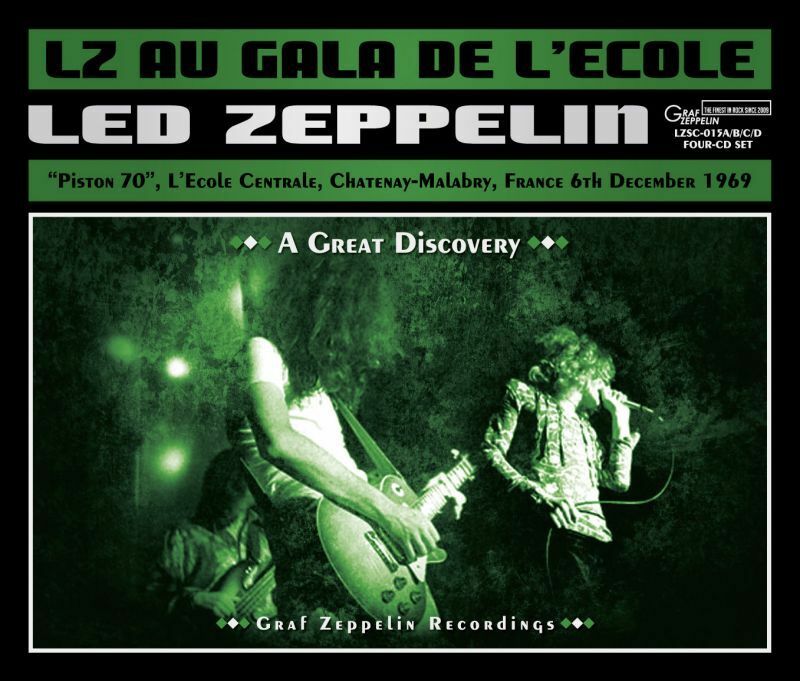 Japanese label Graf Zeppelin is due shortly to release LZ Au Gala De L’Ecole. This will be 4CD set consisting, similar to non labelled title, of raw and remastered versions of this tape source. Recording: Very good mono audience. CD1-2 raw version. CD3-4 remastered version. Source: Piston 70, L’Ecole Centrale Chatenay-Malabry, Paris, France Dec. 6 ’69. Comments: Japanese bootleg. Deluxe jewel case.